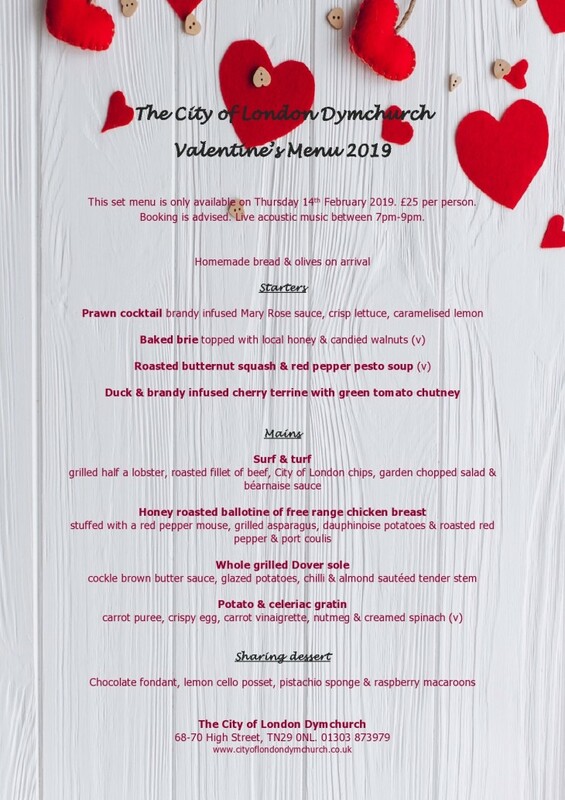 Our 3 course Valentine's meal is just £25 per person. Live acoustic music between 7-9pm. Please phone or message us to book.